According to the embattled lawyer, Musalia Mudavadi has never earned any position he has held or the wealth he enjoys. Miguna was reacting to an interview by the Nasa co-principal on his deportation saga. During the interview at KTN, Mudavadi alluded that Miguna Miguna broke the law when he refused to produce his passport. “If you moved into a country and a travel document is required, and you don’t produce it. What are you doing?” posed Musalia. 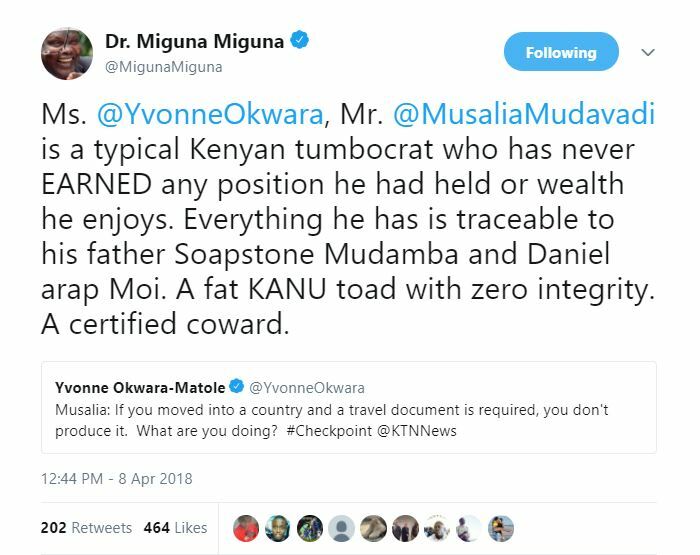 But Miguna on Monday took to his popular venting channel, Twitter, to make a scathing retort referring to Musalia as a ‘fat KANU toad’. 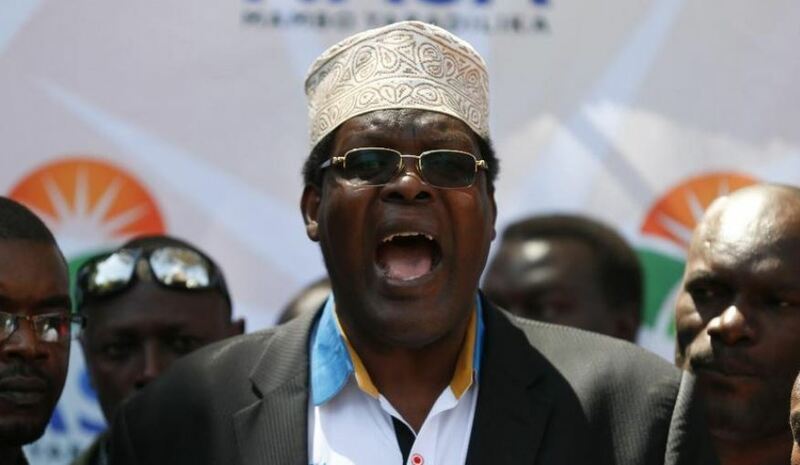 The attack comes barely two months after Miguna savagely attacked the three (NASA) co-principals Kalonzo Musyoka, Musalia Mudavadi, and Moses Wetang’ula. He described them as “jokers and hypocrites” for “betraying” Raila Odinga during his mock swearing-in on January 30.